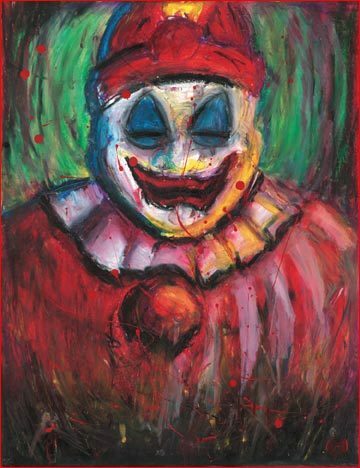 pogo/ John Wayne Gacy. John Wayne Gacy. Wallpaper and background images in the Serial Killers club tagged: john wayne gacy serial killer. link - check out some other eerie drawings from John Gacy from the upcoming film Dear Mr Gacy link Thanks for sharing these pogo clown drawings!